Information visualization tools are a growing success story, as users find that they can comprehend larger data sets and find key features more rapidly. This talk will show examples such as multi-variate data (www.spotfire.com), treemaps (hivegroup.com), and temporal data (TimeSearcher). These discovery tools are a research topic with high risk but potentially very high payoff. The goal is to develop improved user interfaces for creativity support tools that empower diverse users in the sciences, engineering and design to explore alternatives rapidly. Enhanced interfaces could enable more effective searching of intellectual resources, improved collaboration among teams, and more rapid discovery processes. These advanced interfaces should also provide potent support in goal setting, speedier exploration of alternatives, improved understanding through visualization, and better dissemination of results (demos will be shown). For creative endeavors that require composition of novel artifacts (computer programs, engineering diagrams, symphonies, animations, artwork), enhanced interfaces could facilitate rapid exploration of alternatives, prevent unproductive choices, and enable easy backtracking. Two key human factors issues are (1) Formulation of guidelines for design of creativity support tools (2) Novel research methods to assess creativity support tools – for example, Multi-dimensional In-Depth, Long-term Case studies (MILCs). These issues will be the core of the June 2007 Conference on Creativity and Cognition in Washington, DC . Ben Shneiderman is a Professor in the Department of Computer Science Founding Director (1983-2000) of the Human-Computer Interaction Laboratory, and Member of the Institutes for Advanced Computer Studies & for Systems Research, all at the University of Maryland at College Park. He was elected as a Fellow of the Association for Computing (ACM ) in 1997 and a Fellow of the American Association for the Advancement of Science (AAAS) in 2001. He received the ACM SIGCHI Lifetime Achievement Award in 2001. 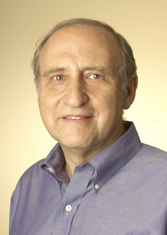 Ben is the author of Software Psychology: Human Factors in Computer and Information Systems (1980) and Designing the User Interface: Strategies for Effective Human-Computer Interaction (4th ed. 2004). He pioneered the highlighted textual link in 1983, and it became part of Hyperties, a precursor to the web. His move into information visualization helped spawn the successful company Spotfire. He is a technical advisor for the HiveGroup and ILOG. With S Card and J. Mackinlay, he co-authored Readings in Information Visualization: Using Vision to Think (1999). His books include Leonardo's Laptop: Human Needs and the New Computing Technologies (MIT Press), which won the IEEE Distinguished Literary Contribution award in 2004.